CBSSports.com is a unit of CBS Interactive, a division within CBS that includes operations of CBS.com, CBSSports.com, CBSNews.com, the new broadband channel innertube and startrek.com. CBS Interactive is responsible for overseeing all consumer digital properties, in addition to exploring opportunities in the new media sector, including streaming of network programming, live shows produced exclusively for the Internet, podcasts and mob-isodes of CBS shows, among other features. In July 2005, the group revamped its news site, CBSNews.com, and launched an ambitious 24-hour, full service, on-demand service, designed to bypass cable news television. The site includes live reports from CBS News correspondents, the latest video and news, streaming video and archives. Turner Sports, a division of Turner Broadcasting System, Inc., is an industry leader in televised and online sports programming, airing championship level sporting events on TBS, TNT and truTV, and managing some of the most popular sports sites on the Internet. Turner Sports’ television line-up includes the NBA, Major League Baseball, the NCAA Division I Men’s Basketball Championship, NASCAR and professional golf. The company’s digital portfolio includes http://www.SI.com, http://www.NASCAR.com, http://www.ncaa.com, http://www.PGATOUR.com, http://www.GOLF.com and http://www.PGA.com, as well as an accompanying collection of mobile websites and connected device apps. Turner Sports and the NBA also jointly manage NBA Digital, which includes NBA TV, http://www.NBA.com, NBA LEAGUE PASS, NBA Mobile, the NBA Game Time App, http://www.NBADLEAGUE.com and http://www.WNBA.com. Turner Broadcasting System, Inc., a Time Warner Company, creates and programs branded news; entertainment; animation and young adult; and sports media environments on television and other platforms for consumers around the world. The NCAA is a membership-led nonprofit association of colleges and universities committed to supporting academic and athletic opportunities for more than 400,000 student-athletes at more than 1,000 member colleges and universities. Each year, more than 54,000 student-athletes compete in NCAA championships in Divisions I, II and III sports. Visit http://www.ncaa.org and http://www.ncaa.com for more details about the Association, its goals and members and corporate partnerships that help support programs for student-athletes. The NCAA is proud to have the following elite companies as official Corporate Champions-AT&T, Capital One and Coca-Cola-and the following elite companies as official Corporate Partners: Amazon Echo, Buffalo Wild Wings, Buick, Enterprise, Intel, Infiniti, Marriott Rewards, Nabisco, Northwestern Mutual, Pizza Hut, Lowe’s, Reese’s, Unilever and Wendy’s. Since 1990, Premier Sports Management has built a track record with some of the most prestigious organizations and corporations in the world of sports. The National Football League, the NCAA, Major League Soccer, and many others on the property side; Gatorade, New York Life, Bayer, Lowe’s and other corporations on the sponsor side. Now available in Crystal Clear HD, CBS College Sports Network is the original 24-hour cable network dedicated to college sports. CBS College Sports has thousands of hours of great live programming highlighted by our coverage of over 35 men’s and women’s sports with hundreds of live games each and every season. CBS College Sports is the cable home of NCAA® March Madness® with over 100 hours of highlights, live look-ins, post game news conferences, game by game analysis, behind the scenes footage and an insider’s look at the tournament providing exclusive coverage not available anywhere else. 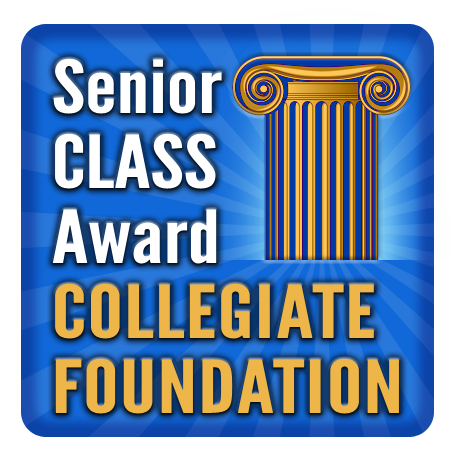 The Senior CLASS Award Collegiate Foundation supports the positive achievements of college student-athletes and brings attention to important attributes such as academic success, community service, leadership and integrity in college athletics.